CliniShift is a bespoke software solution that works as a communication platform connecting clinical staff with hospital managers who manage rosters. 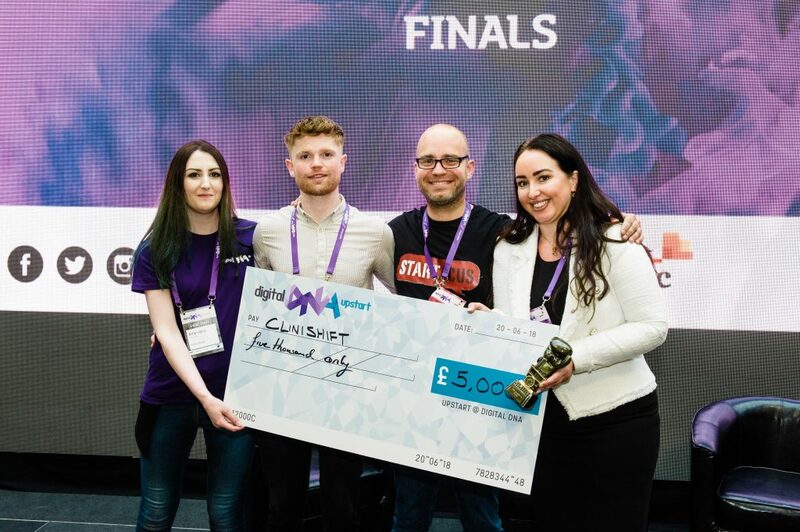 Pictured: Amy Jane Langtry, Creative Lead at Digital DNA; Runner-up of upSTART Scott Martin, founder of AiPatient; Alastair Cameron, co-founder of competition organiser Startacus; upSTART winner Amiee Madden picking up her £5,000 prize for her company Clinishift at Digital DNA 2018. 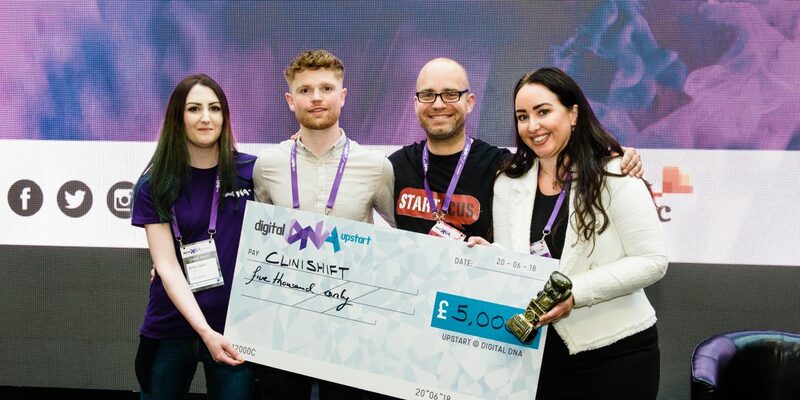 Clinishift beat off competition from 24 other disruptive startups, including runner-up AiPatient, which seeks to improve the quality, accessibility, and affordability of medical training worldwide, through artificial intelligence. “Flint Studios is still a relatively young business now in our sixth year and it isn’t too long ago that we were considered a startup company ourselves so we know the challenges and just how invaluable support and advice from more mature companies can be.